“She looked at me with [an] evil stare." Never mind a flat white – one Australian coffee shop customer recently asked to be served by a white person. 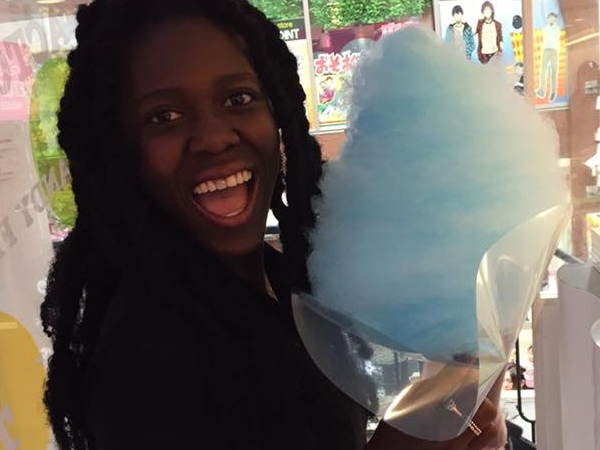 The (rather horrible) woman was speaking to Josie Ajak, manager of a coffee shop in Cairns in Queensland, Australia. Josie, who was born in South Sudan and moved to the country with her parents when she was eight years old, was having none of it. "This elderly woman approached the counter in a wheelchair and I greeted her as I would anyone else," she told ABC Australia. Upon hearing the woman's request, Josie replied with a smile, “That’s fine." The woman then moved to the side, waiting for a white person to serve her. "I told my staff that she's racist and that we won’t be serving her, while I continued serving other customers with a smile. “She looked at me, face angry, looking with [an] evil stare," Josie added to Buzzfeed News. The whole team simply ignored the unnamed woman until she eventually left. 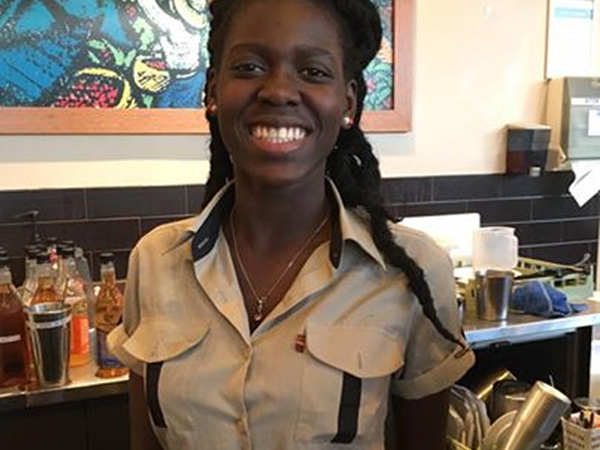 Jade Arevale, another employee of Gloria Jean's Coffee Shop, took to Facebook to condemn the customer's horrific behaviour. "To the woman who recently visited Gloria Jean's in Central for coffee and refused to be served by Josie because of the colour of her skin: you're lucky she didn't sh*t in your pie like that woman did in [the movie] The Help. "Josie is one of the most kind and friendly people you could meet but irrespective of her character, she did not deserve to be excluded like this." Jade added that because the customer was in a wheelchair, she "could quite possibly understand a life made difficult by others assuming less of her". "So, next time you're in the centre and want an awesome drink, come give Josie a hug and say hi," Jade continued. "Order a white hot chocolate and watch her laugh at the irony of not saying dark when you order a normal one (it's totally a thing). Just don't tell her she's not worthy of your time and money because seriously, it's hurtful and she'll tell me about it and I'll tell everyone. "And cheers to Gloria Jean's for refusing to serve the awful woman at all, and to customer Stacey Sellars who stood up to the woman on Josie's behalf. Your bravery is dearly appreciated." Jade's post has been shared, commented on and liked thousands of times – and Josie says the support of complete strangers has been overwhelming. I would like to thank every kind soul who has shown me love and support since I was the target of racial discrimination last week. I have been inundated with so many beautiful messages from both friends and complete strangers that have left me feeling so blessed to be who I am. I never in a million years thought that the response would be so great and encourage you all to continue to spread this message. Regardless of which colour, gender, age, size, and shape you are, we are all deserving of love and should be treated accordingly. To everybody who has ever been refused service because of their skin colour, this is for you. There is absolutely no room for racism anywhere in the world! To everyone who has kindly planned to visit me at work, I will be on shift on Tuesday, Thursday and Friday and welcome you to share a drink with me. Otherwise thank you all for supporting me and the #buyadrinkfromjosie anti-racism cause. ? ?